Have you ever wondered about the early lives of an older generation? Your parents or grandparents, maybe. Would you like to know what they got up to in their younger days? 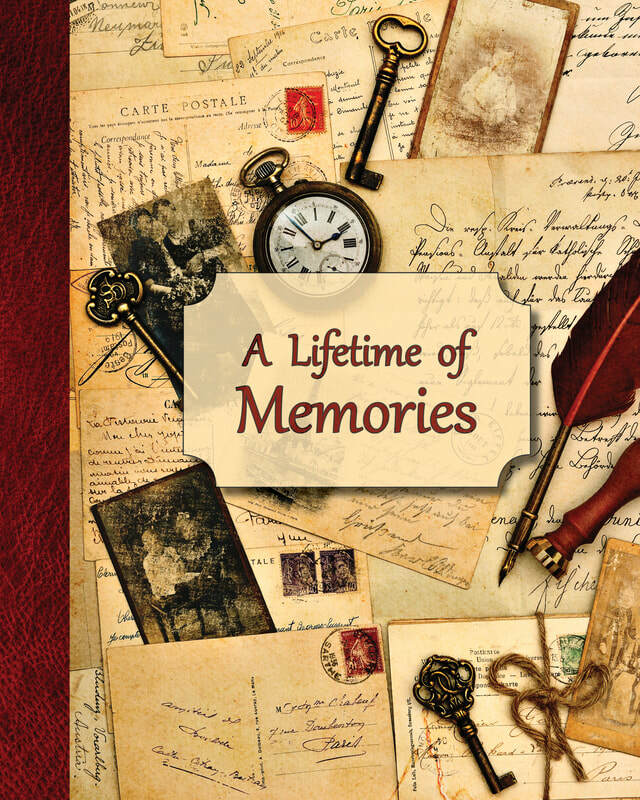 A Lifetime of Memories is a great journal to give to your grandparents and parents as a gift, be it for Mother’s Day, Father’s Day, birthday or Christmas. It’s a notebook that will help them record their memories and life experiences. When the recipient has filled it in, he/she can return it to you – and it will become a family heirloom for you to keep or pass on to later generations. The pages have ornate question boxes where the recipient can write his/her answers. A page at the beginning of the journal has space where you can write a dedication, including the recipient’s name, a short message and your own name. This page is followed by an introduction which explains how to make the most out of the book. This book is also available in LARGE PRINT. The LARGE PRINT edition has clear font (Calibri) in size 18pt.